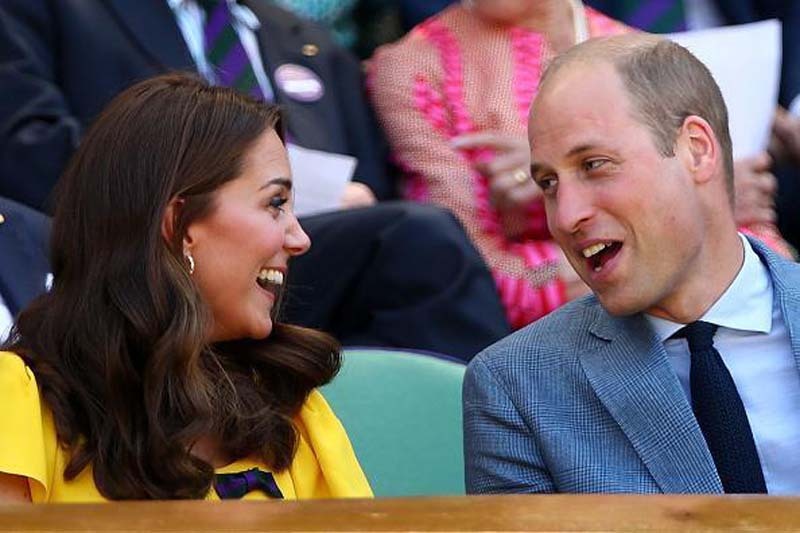 Kate Middleton just gave Prince William the look of love at Sunday’s Wimbledon men’s singles final. [post_ads]The Duke and Duchess of Cambridge watched Novak Djokovic and Kevin Anderson’s tournament from the Royal Box on Center Court in London. They were photographed beaming while sitting beside each other. At one point, Middleton turned her head towards Prince William and stared at her husband. She was smiling from ear to ear, and Joe Gamp, a journalist for Express, said that this gesture proved how in love Middleton still is with Prince William. The couple dated when they were still in the university, and they have been married for seven years. Middleton and Prince William have also been blessed with three adorable children together, namely, Prince George, Princess Charlotte, and Prince Louis. In related news, Middleton and Prince William’s sighting at Wimbledon on Sunday came just hours after Kensington Palace released the official photographs from Prince Louis’ christening. The two-month-old was baptized at the Chapel Royal at St. James’s Chapel last week. One of the three official photos shows Middleton carrying Prince Louis. The doting mom is staring at her son lovingly in the picture. In the second snap, Middleton and Prince Louis are joined by the immediate members of the royal family. A third photo featured the royal family with Middleton’s parents, sister, brother, and brother-in-law.